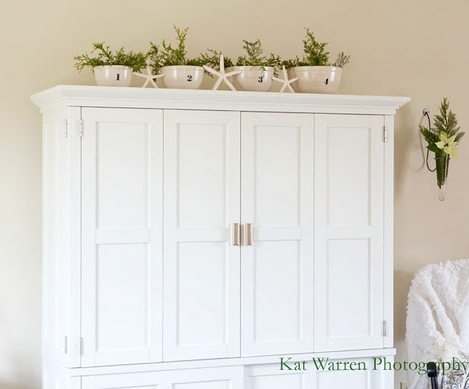 Simple natural Christmas decorating ideas with greenery for little money. 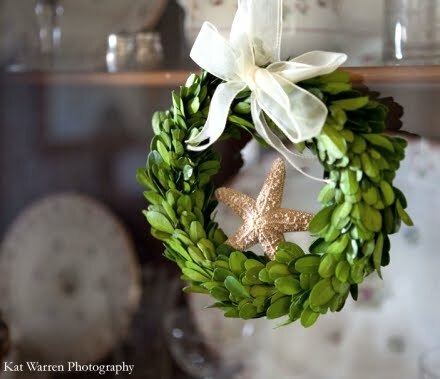 You have seen Green and Simple Christmas Wreaths, and a Victorian Coastal Cottage dressed up with ferns and palms. Now let's tour this Chesapeake Home. The decor theme is simple and natural, using what was on hand or what could be found find in nature. 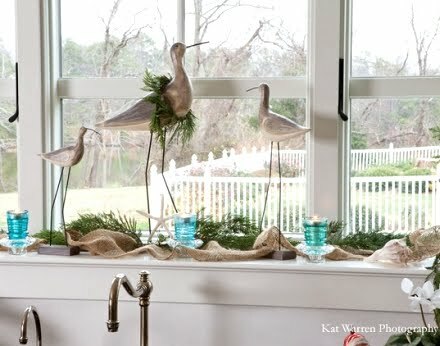 The windowsill in the kitchen is decorated with burlap ribbon, blue mason jars and mother nature in form of cypress greenery. Bowls on top of the TV armoire are filled fresh cedar. 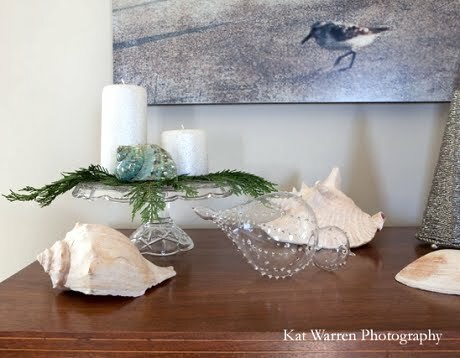 Starfish resting between each bowl adds a coastal touch. You can see more here. 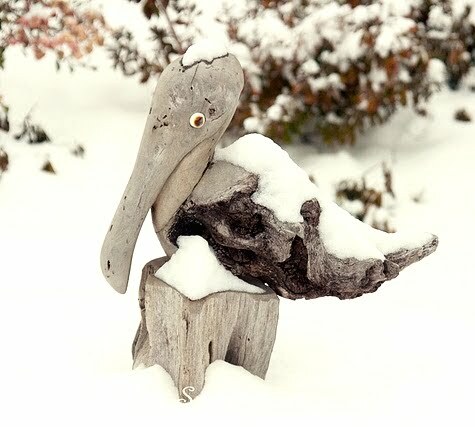 And outside in the cold, a driftwood pelican Christmas.